Europe`s Amphibians are disappearing: 18 of 81 species are experiencing some degree of extinction threat and even widespread species are disappearing from large portions of their ranges. A newly emerged infectious pathogen, Batrachochytrium dendrobatidis (Bd), a previously undiagnosed threat to Europe’s amphibians, is infecting over a third of European amphibian species and at least 1/10 of our amphibians are dying in the wild from the disease chytridiomycosis. 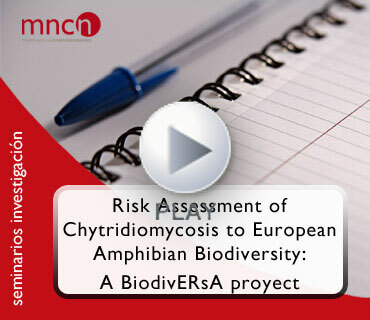 Nevertheless the extent that this invasive infectious disease is impacting on amphibian biodiversity is almost completely unrecognised by European conservation agencies, governments and academic institutions; this despite clear signs that this pathogen represents a key threatening process for amphibian biodiversity and their associated roles in ecosystem-support and servicing. To address this lack of knowledge and conservation activities addressing this cryptic killer of amphibians, RACE is assessing the risk that Bd poses to European amphibians and is implementing the first pan-European attempt to mitigate disease. RACE partners are: Imperial College London and Zoological Society of London (UK), Station d’Ecologie Expérimentale du CNRS à Moulis and Université de Savoie (France), Helmholtz Center for Environmental Research (Germany), MNCN-CSIC (Spain), and University of Zurich (Switzerland). The data and scientific outputs produced by RACE are being used to develop a standardised EU-wide monitoring scheme and a European Threat Abatement Plan (ETAP) by disseminating information to national and international stakeholders and by building collaborations in under-surveyed countries.